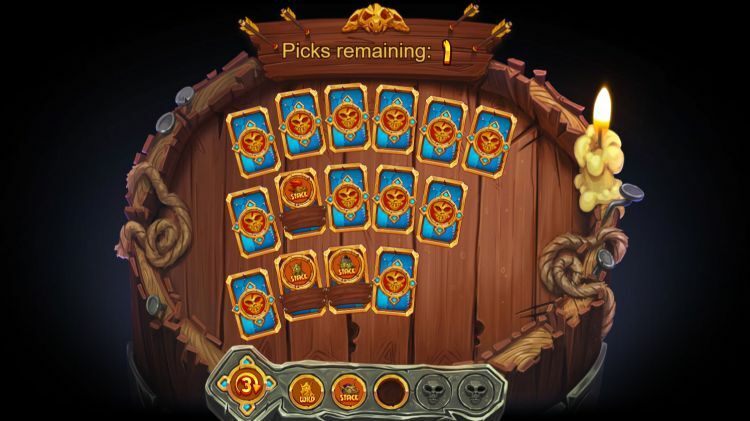 Trolls Bridge is Yggdrasil’s first release of 2019. 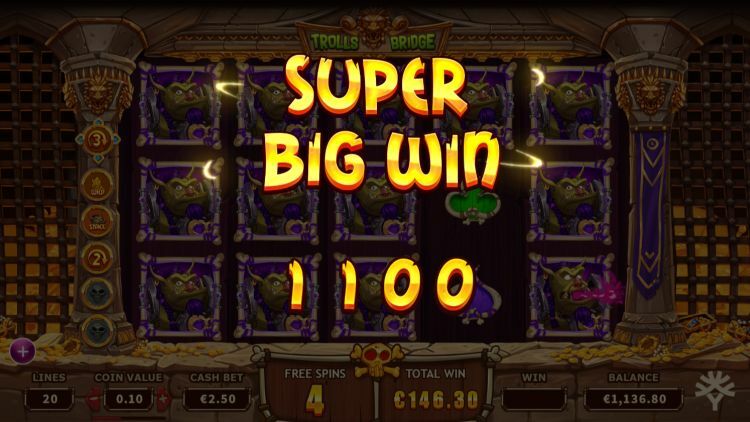 They did cheat a bit with this new online slot: Trolls Bridge is a new and improved version of their hit slot Golden Fish Tank. Instead of a fishbowl, the place of action now is a castle with a suspension bridge, and a couple of ugly trolls have replaced the colourful fish. What has remained are the bonus boosters, the Golden Bet (+25% of the bet) and the high variance. Entirely new are the mystery features, which can yield big cash prizes, multipliers and free spins. In short: there is a lot for us to tell you about Trolls Bridge. 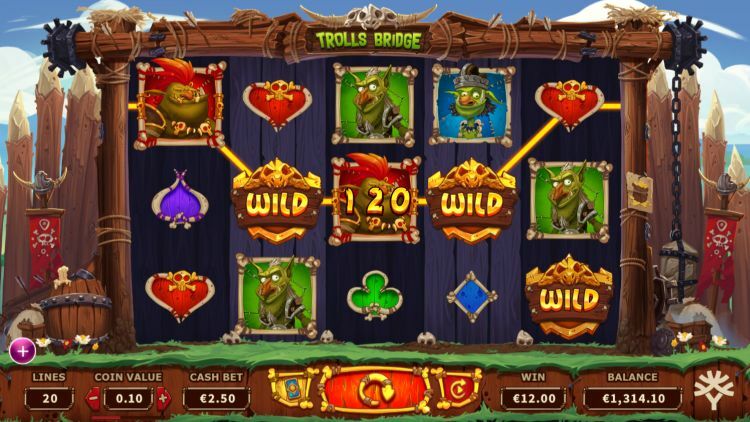 How does the Trolls Bridge video slot work? Trolls Bridge has 20 fixed paylines and is played on 5 reels with 3 rows of symbols. When you play, you can choose to bet with or without Golden Bonus. It’s like French fries: adding mayonnaise makes it a bit more expensive, but also a lot tastier. With an active Golden Bonus Bet the minimum bet is $€ 0.25, and the maximum bet is $€ 250 per spin. The variance is high: especially the free spins can, with a little luck, payout very well. The trolls are so ugly that they become beautiful and act as premium symbols. There are 4 different trolls in the game, which award between 125 and 250 coins for a 5-of-a-kind. The card symbols hearts, diamonds, spades and clubs are the low paying symbols and are worth between 50 and 75 coins for a 5-of-a-kind on an active payline. The wild symbol replaces all symbols except the scatters. The free spins bonus is potentially the most lucrative of all bonus features. The suspension bridge is lowered, and now the real fun starts: you can determine your bonus boosters by turning cards. Prices range from extra free spins, extra wilds and stacked premium symbols to additional multipliers. Especially the extra wilds and stacked symbols can be great fun. With a little luck, you can turn them into stacked wilds. The free spins cannot be re-triggered. Usually, the mystery features offer a modest reward although sometimes you can win 1,000 coins or a free spins bonus out of the blue. Trolls Bridge is a very pleasant higher variance video slot. The free spins bonus, with all those extra features, is phenomenal: it is always exciting to see if you can find the right boosters. Graphically, Trolls Bridge is also a pleasure to watch: the Yggdrasil design team has done an excellent job. A very decent slot: 3.5 out of 5 stars. 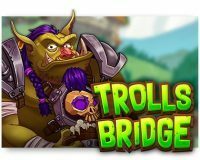 Where can you find Trolls Bridge? 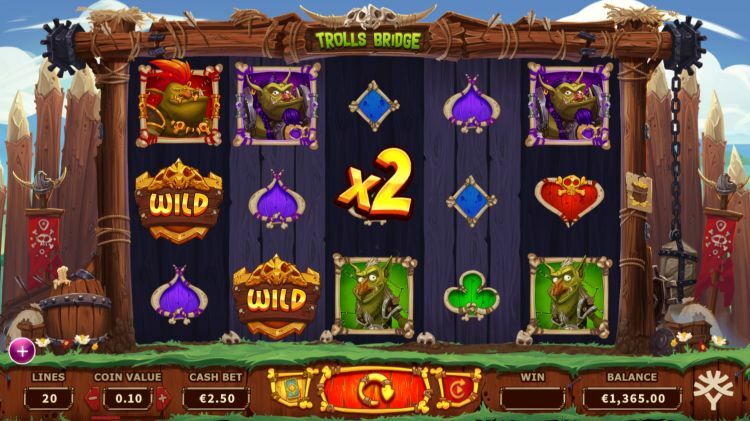 The Trolls Bridge slot is found at all reliable Yggdrasil casinos. One of these Yggdrasil casinos is Casumo, which is one of our favourite online casinos. 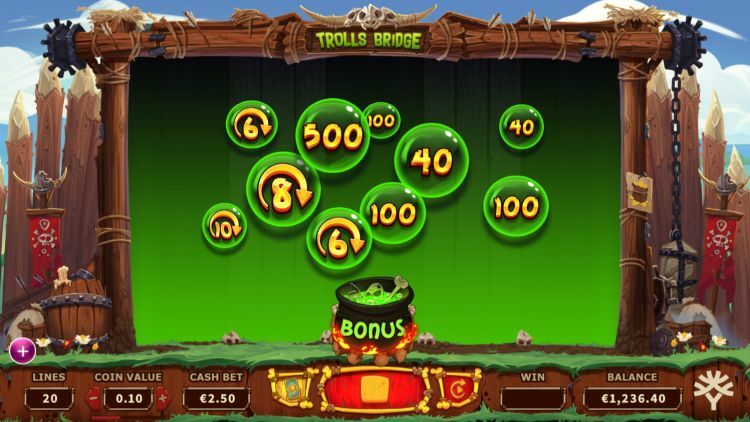 You can play the Trolls Bridge slot at Casumo with a 200% bonus up to $€50 plus 200 free spins.